Hi friends! It's Tuesday and time for a new challenge at Stamp Ink Paper. 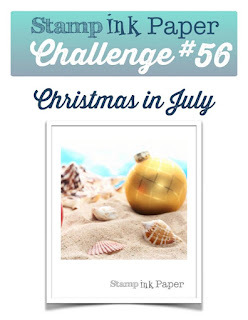 This week it's a theme challenge: Christmas in July! 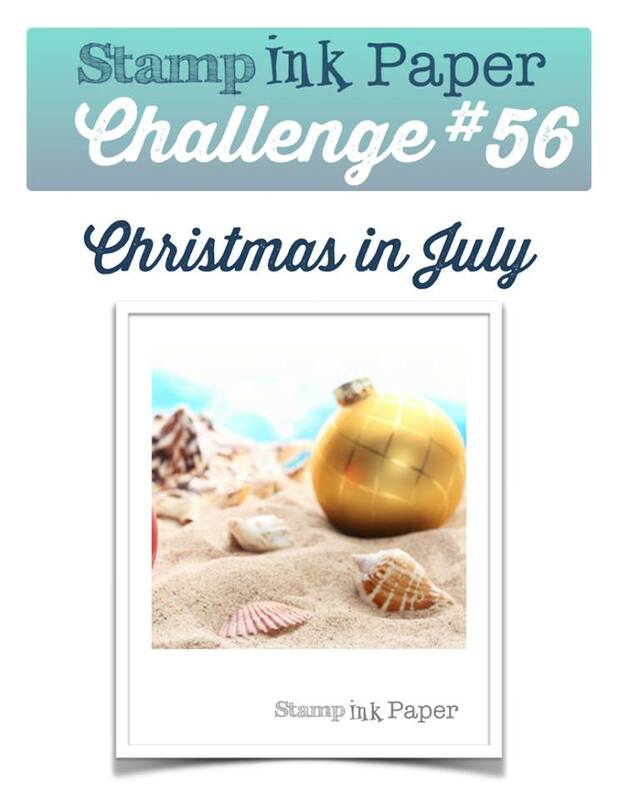 Summertime Christmas challenges seem so popular this year, and it's never too early to add to your stash. I send lots of handmade Christmas cards, at least 50. How about you? 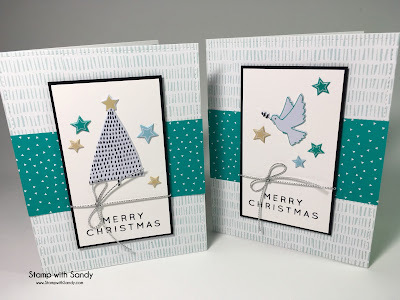 Last December when my Simon Says Stamp monthly card kit arrived, I was already pretty much done with Christmas paper crafting and only made one card with it. This was a good excuse to use some of those products. Since I make so many holiday cards I try to keep them pretty simple. The only stamping on this was the sentiment, and the cute images are puffy stickers. 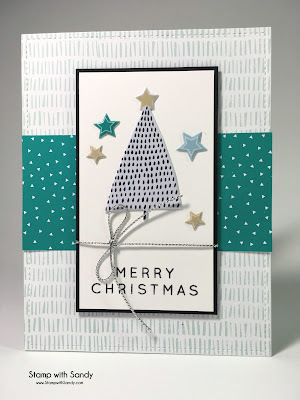 While I was at it I made a second card using all the same products, also in shades of blue. 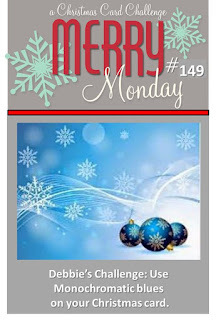 Speaking of summertime challenges and shades of blue... Merry Monday has a "Christmas in Summer Link-Up" going on from now until the end of August. All you have to do is make a card using one of their previous challenges, and I chose #149, Monochromatic Blues. 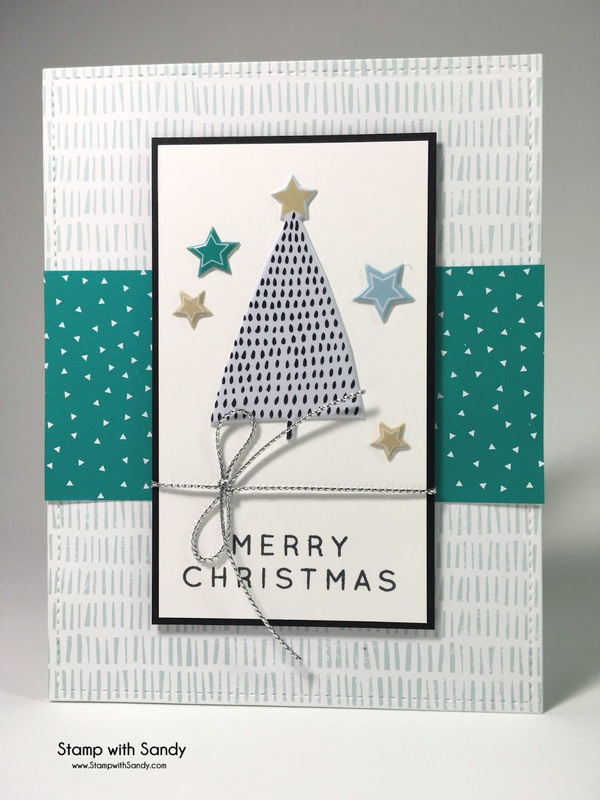 Here is my card inside, simple but dressed up with some scraps of patterned paper. I especially like to get my insides finished right away when it comes to Christmas cards. Stamping 50 inside sentiments can get pretty boring after a while! Thanks so much for visiting! 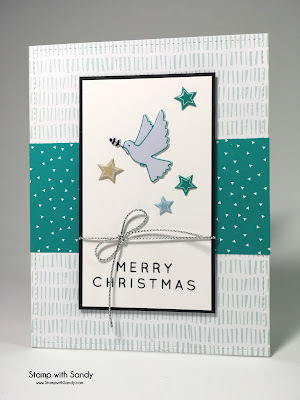 Next I hope you will head over to Stamp Ink Paper to see the Christmas creations from the rest of our team. Please play along, too! You know me, I'll be jumping on this challenge ASAP! 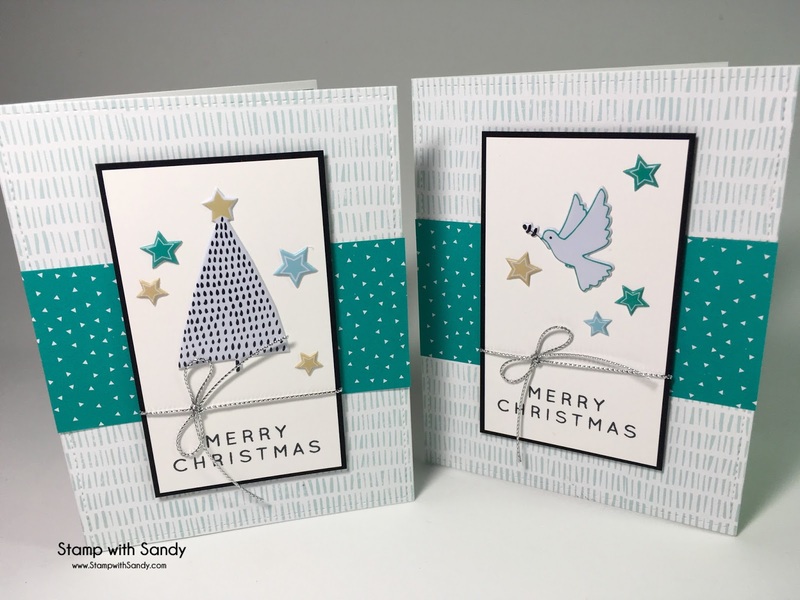 LOVE your pretty Christmas cards...even though they may seem simple, I think they're beautiful! 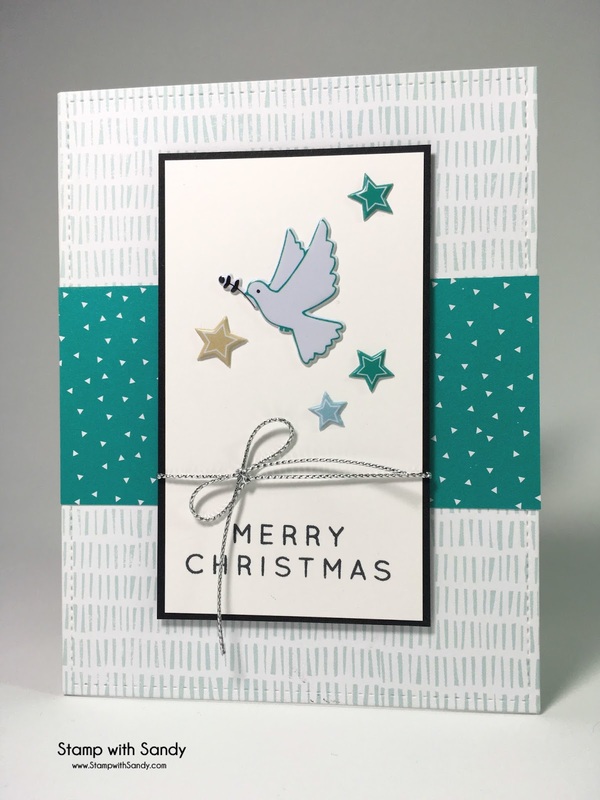 Love the dove card the best! Nice colors too. areUdone with your Gifts of Love stamps? want2sell it2me?